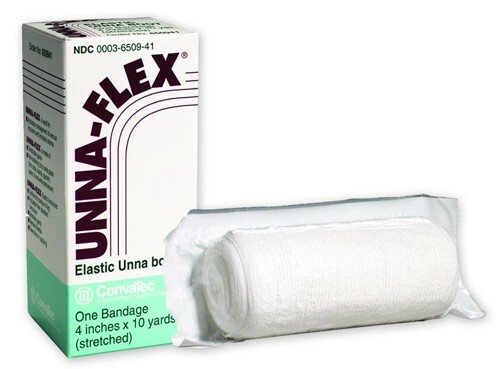 UNNA FLEX Elastic Unna Boot is an elastic, stretchable gauze zinc oxide bandage that can be optimally used for successful pressure ulcer treatment. Easy to use, flexible and soft, this bandage conforms comfortably to the leg and around painful venous ulcers. 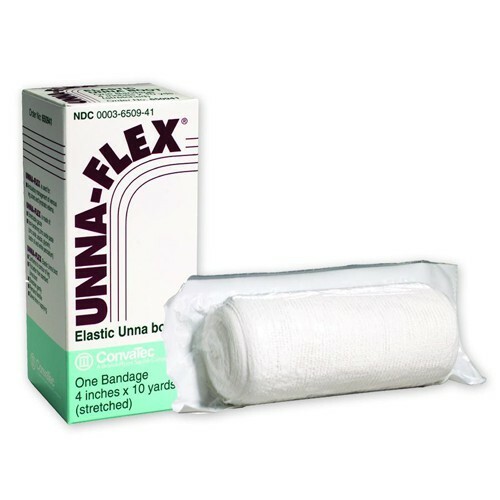 UNNA FLEX Elastic Unna Boot provides all of the benefits of an Unna Boot without being overly rigid. Specifically indicated for pressure ulcer treatment and associated conditions, this stretchable bandage is a non-invasive way to successfully treat and cure venous ulcers. You might also be interested in similar pressure ulcer treatment products that we carry, such as Primer Unna Boot Dressing. Elastic, stretchable gauze zinc oxide bandage. Ideal for venous leg ulcer care. Flexible and comfortable while conforming to the leg. Hello Lori: Yes, this product does contain latex. This product is infused with Zinc Oxide which wicks moisture away from skin thus avoiding breakdown. I have used many brands of Unna Boots and prefer the Unna Flex over all others. I suffer from leg ulcers from vericous veins and use unna boots to speed the healing process. UNNA FLEX Boot Is Great! Ambulatory management of venous leg ulcers and lymphatic edema has never been easy until the arrival of ConvaTec UNNA FLEX Elastic Unna Boot. It is made of strechable gauze, and a non-hardening zinc oxide paste. The Unna Boot provides comfort as it conforms to contours of leg and remains flexible. Great product indeed!